Independence Day American Flag Bracelet & Cuff – New FREE YarnWars Crochet Pattern! Fourth of July is just around the bend! Only 2 more days!! These fun crochet work ups will have you stacking arm after arm with Red White & Blue! The American Flag Bracelet and Cuff are 2 separate patterns, they both work up in literally minutes. What a great way for you to celebrate the day, show your support for your country & get the creative juices flowing! Give it a go! With a full video tutorial for both of these patterns, you will be whipping these out in no time and all. Share your finished work up with the YardnWars friends on Facebook… We would LOVE to see your creative twist! 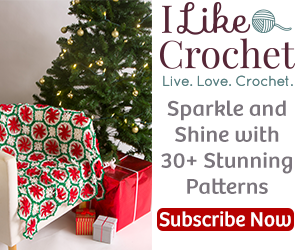 Click here or on the image above for the free pattern today!